An herb whose name means “mountain joy”, oregano is a savored spice widely used in Italian, Mediterranean, and Mexican dishes. But few know just how healthy this herb can be. As with many flavorful kitchen herbs, when you cook with oregano, you are getting far more than a flavorful punch—you’re also receiving a range of health and healing benefits. And if you wanted to experience oregano benefits by growing oregano yourself, you’ll be happy to know that raising this herb from a seed is fun and easy. A woody herb related to marjoram and even called “wild marjoram” in some parts of Europe, oregano is native to Northern Europe and popular in Mediterranean dishes. It’s important to note that we aren’t talking about a related herb called Mexican Oregano here, though that’s a tasty one too. This variety (Origanum vulgare) wasn’t brought to the west until the 20th century. Historically, oregano wasn’t only recognized for its flavor, but was said to be a symbol of joy and happiness. Brides and grooms of ancient Greece and Rome would wear laurels of oregano on their heads in celebration of their nuptials. Carried in satchels, it was said to attract luck, health, and positive feelings. Used as a charm, it was planted around homes to protect them from outside forces. Medicinally, it’s similarly been used for centuries. In traditional Chinese medicine and European folk medicine, it’s been useful to treat and prevent a variety of ailments—ailments it can still successfully treat today. Oregano is packed with nutrition. It’s said to be a rich source of vitamin K (important in blood and bone health) and manganese (a trace mineral important in bone, blood, and hormonal health). It’s a good source of fiber for the amount used, and is loaded with antioxidants. Like it’s cousins of the mint family (thyme, rosemary), oregano contains phytonutrients like thymol and rosmarinic acid. These are potent antioxidants that protect the cells from oxidative stress. Per weight, oregano has been shown to have antioxidant activity 42 times more potent than apples and even 4 times more potent than blueberries. It also has antibacterial properties. Oils in oregano like thymol and carvacrol inhibit the growth of bacteria including staphylococcus aureus. A study from Mexico found oregano to be more successful at treating the bacterial infection Giaria lamblia than the antibiotic most commonly prescribed for the ailment. It may also combat bacteria like that of E.Coli and salmonella (food-borne pathogens). Weight Loss – A study involved feeding mice a high fat diet to induce obesity. But, the mice who were also given oregano oil saw a smaller weight gain than those who weren’t. The converted amount of oregano oil human would need to take daily to see the same results is 3-4 capsules. Promoting the Digestive System - Research published in the prominent journal Experimental and Toxicologic Pathology, showcases how oregano oil can benefit a number of systems within the human body. Finding that the oil could help negate the effects of induced colitis in rats, the information suggests that this oil could be highly beneficial to maintaining and improving colon and liver health. Sinus Infection Treatment - Simply ingesting or steaming and inhaling oregano oil (with eyes closed) could be a great natural sinus infection remedy. Toothache – Oregano oil can also be combined with other healing agents for a toothache if it is the result of an abscess or another infection. Start with several drops of oregano oil under the tongue, and hold for a few minutes. Afterwards, swish around colloidal silver as many times as once per hour. After a few hours, ingest additional colloidal silver, but not more than a total of 8 ounces in one day. In between the colloidal silver swishes, rinse with warm salt water and rub more oregano oil into your gums. Like growing rosemary, growing oregano is a simple process for a beginner-herbalist. You can plant it directly in the ground, but it can spread significantly. Many people use it for ground-cover for this reason. If you don’t want oregano to take over your herb garden, consider putting it in a pot instead. Choose a pot that is at least 10 inches and has holes in the bottom for drainage. Oregano loves the sun, but if you live in a hot area (Zone 7 and south), you’ll want to put it somewhere that it can get a little afternoon shade on the hottest summer days. Water only as needed and don’t worry about fertilizing oregano. It isn’t too picky when it comes to soil nutrients. To harvest oregano, wait until the plant is about 4 inches high, cutting the stems all the way down to the ground as needed. This will encourage more growth. To strip the woody stems of the valuable leaves, hold it by the top and run your fingers down the stem, knocking the little, slightly-fuzzy leaves off as you go. And that’s basically it! Growing oregano is as easy as planting the seeds in a pot able to drain, exposing it to sun and afternoon shade, and watering occasionally. Perhaps the easiest way to experience oregano’s benefits is by cooking with it. Use it in Italian or Mexican dishes, soups, and casseroles. But when you don’t want to eat a meal to get your oregano benefits, make a quick tea. Simply use 2 tablespoons of fresh oregano. Bring 2 cups of water to boil, add the oregano, and let steep for 5 minutes or so. Finally, if you really want to get crafty and have medicinal oregano on hand at any time, make your own oregano oil. This isn’t like an oregano essential oil, but will give you the benefits of the oils in a slightly diluted form. 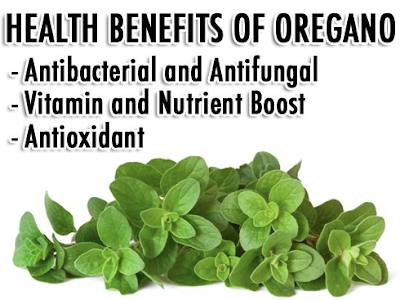 Oregano oil benefits can be very powerful. Gather a cup of fresh oregano and place in it a plastic bag. Using a kitchen mallet or rolling pin, crush the oregano to release its natural oils. In the meantime, warm one cup of carrier oil (olive or grapeseed work well) on the stove. Do not overheat the oil. When it is warm, add it to the oregano leaves and massage. Pour the mixture into a clean jar and tighten the lid. Put the jar somewhere clean and dry (a window sill works great) and leave it for 2 weeks. After two weeks, strain off the leaves and your oregano oil is ready to go. Use it directly on your skin, or take it internally. You can adjust the amount of oil you make, just be sure to use a 1:1 ratio of plant to oil. Oregano is a flavorful and powerful herb to have in your home arsenal. In addition to providing a wealth of healing benefits, you may find–like the ancients– the herb just brings you joy. Experience oregano benefits today.